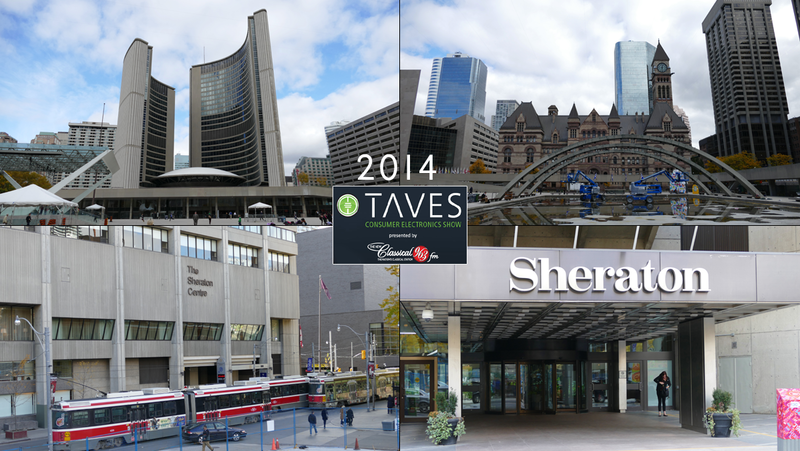 A commentary on a few more interesting TAVES rooms. As I did my first walk-through of TAVES’ 200+ exhibitors, I was reminded that the world of hifi is a strange brew of no more than one dozen deep-pocketed or mid-sized international interests (Sony, Yamaha, Marantz, Philips) and a few thousand local artisanal master craftsmen like Gilbert Yeung of Blue Circle, Steven Huang of Audio Sensibility and Moray James Campbell of Calgary. Moray’s various cables, interconnects and line conditioners were doing service in the Grant Fidelity room that in my first installment I named as one of my three favourites. I neglected to mention that like a few other audio wizards (Don Garber comes to mind), Moray has no website. But you can reach him via email at morayjamescables@yahoo.com. A month, a week does not go by without a substantial new offering and I was grateful that the show organizers brought several new producers to Toronto. I think of these Hologram M2 speakers by Spatial. The Holograms were powered by Wyred4Sound’s inexpensive m-Series components. Here was a very good sounding system for under $6’500. As you would expect of an open baffle design with two Eminence 15-inch drivers and a wide bandwidth compression driver, these speakers filled the room with a huge soundstage that belied their modest footprint. With a 25kg aluminium/MDF ‘enclosure’ the Holograms kept their composure when played loudly. Bass was dry and taut. Highs were a bit hot for my liking but was the room speaking? Nothing a little SET amp couldn’t tame. The Holograms are over 95dB sensitive so even a small Topping chip amp would do. W4S’s tiny but powerful m-Series amps barely broke a sweat driving them. The Holograms would make a nice addition to a cramped living room. For $2’500 they have to be considered some sort of steal given their ability to dig low and play loud with little power required for take-off. The next room to catch my attention was organized by ANKits, a company owned by Brian Smith (no relation) of Ottawa. 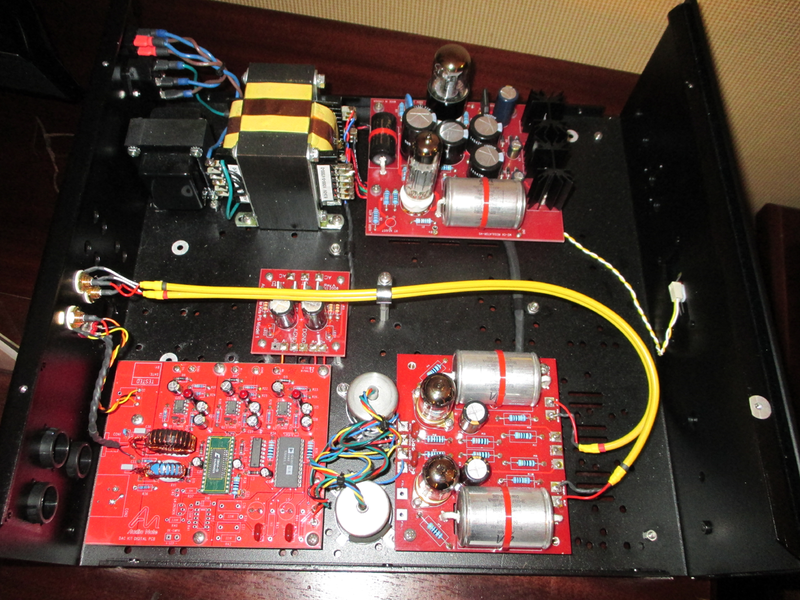 ANKits is a supplier of high-end audio products in kit (DIY) form based on the Audio Note design philosophy. Born out of Audio Note UK ten years ago, ANKits is today a separate and successful entity. The firm has shipped over 2’000 kits in the last decade according to chief operating officer Smith. Several of those kits contain a certain percentage of Audio Note UK parts, in particular the firm’s legendary capacitors, C-cores, wires and resistors. No matter the source of the parts, take a look at their quality. Some DIY kits available over the internet cram too many parts per square inch, making for awkward soldering. Not here. You get real full-sized metal cases and intuitive wire paths. This room sounded incredible. I think if offered some of the very best quality per dollar at all of TAVES. The music grabbed a hold of me and would not let go. Plucked strings were as lifelike as they were in the very best rooms. An EL84-based amp was providing all the snap one would expect from such a tube and all the warmth too. 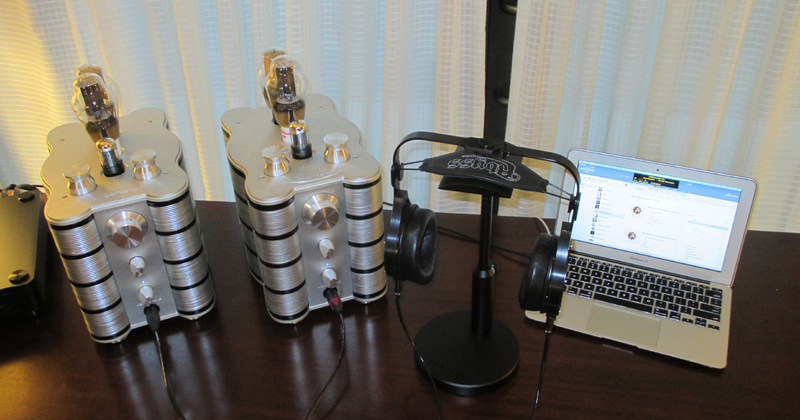 As a fan of tubed DACs, I am mightily tempted by the $1’625 DAC 2.1 featuring 6922 tubes. As a former kit builder himself, Smith approached Audio Note president Peter Qvortrup about continuing the kit business when Audio Note was in the process of shutting down their kit division in 2002 to focus more on their high-end finished product line. A good deal of AN (UK) institutional memory and design DNA crossed the Atlantic. Observe the tidy layouts in the photo, the short signal paths, the high-quality transformers, the big Audio Note capacitors and the liberal application of tubes. The circuit boards used are among the thickest I have seen and held. Behold the robust casework holding it all together. There was nothing DIY about the look. Or about the sound. Brian Smith says that neither he nor Peter Qvortrup could ever have imagined, back in the early 2000s, the breadth of today’s offerings let alone the commercial success of ANKits. DIY enthusiasts have access to a full range of DACs, preamplifiers, single-ended and push/pull mono blocks, integrated amps, phono stages and speaker kits. According to Smith, the key to ANKits’ success has been the ongoing evolution of the products. He says he is "always looking for ways to improve the products whether it be the design, the manuals, the cosmetics or better parts per dollar. Better parts could mean components of course but also stainless steel hardware, 3mm aluminium chassis, the best heat sinks money can buy and thick 2oz copper-traced PCBs." These are things a novice kit builder might not notice at first glance. Smith says that "being a DIY supplier of high-end kits allows us to make product enhancements at a rapid pace--often ahead of our manuals--as the new tweaks immediately move into the next shipped kit product. The products over the last few years are in a very mature state and we are still excited about upcoming releases in 2015." "Can you be more specific?" I asked. "Well," he said, "check out the room: brand-new DAC technology, EL84 single-ended monoblocks, a few integrated amps and more!" If you have ever been on the ANKits website, you’ll know that you won’t be left to your own devices if you choose to dust off your soldering iron. The fully illustrated build manuals are written in clear prose and Smith helps customers who run into snags. You can even pay a professional builder associated with ANKits a modest fee to build your kit; or to fix it if you mess up the build. Next I visited a room hosted by a veteran speaker cabinet maker to some well-known Canadian firms but a newcomer to speaker design itself, Mr. Rohan Amarasinghe. He was debuting a brilliant creation: the Devine Audio Soundstage III loudspeaker. Expected MSRP is $12’000. It’s an unusual design with its drivers time-aligned. 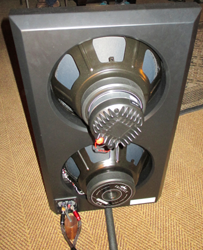 A planar tweeter sits atop a planar dipole mid which in turn rests upon a 15-inch woofer. A bit of the Martin Logan sound this was, with airy high notes and a rumble down below but very warm too and so organic. Acoustic guitar was absolutely lifelike on this system. Each time I entered this room, a Mastersound Compact 845 integrated was in the driver’s seat, with Accuphase steering the signal. The cabinetry was beautiful but the setup seemed a bit fragile, with nothing apparently attaching the top two drivers to the large woofer. This could be remedied quite easily, I imagine. I hope this company will thrive. The same goes for another newcomer debuting a promising product. Kitchener/Ontario’s Bowhead Audio showed its massive ‘alpha five seven’ loudspeaker. I walked into the room only to hear the unmistakable hands of Geezer Butler betraying his band’s Blues roots. It was one of my favourite Sabbath tunes, "Hand of Doom"! That augured well. Bowhead describes its creation as an "8-way analog active loudspeaker" with "9 drivers and 8 independent channels", each one with a dedicated ICEpower Class D amplifier located in the base of each speaker. There are two subwoofers inside so we’re talking 9 yes nine amplifiers per speaker. "Each driver is directly coupled to its own amplifier." Your price tag is not bling-based. You’re paying for a lot of hardware and grass too. (The enclosures are made of bamboo.) The finish is very smooth and professional. And that price tag? You’ll need $28’000 for these 123-pound beauties but you won’t need to spend a dime on separate amplification. The music in this room was usually played at low levels and at first the sound was a bit too polite for my tastes. Bowhead was trying not to excite nasty nodes in their cramped room. Nevertheless, I asked the young designer Steven Hughes to turn up the volume. He did so and the music was not terribly loud but the speakers changed utterly and a beautiful sound was born. This was some of the most powerful bass in the show and that’s not surprising given the heavy dose of Class D amplification. Of course, a speaker this large needs a bigger space in which to breathe and there was a bit of bloat. But that was to be expected given the venue. In any case I would not be surprised if Bowhead gets picked up by a distributor in the near future, for the alpha five seven sounded far better than most similarly priced speakers here. I found it excelled with female vocals. This complex stack of drivers seems to mimic the sound of a single driver! Katie Melua’s mellifluous voice carried through the room like so much quicksilver. Christy Baron’s rendition of "Ain’t No Sunshine" was fabulous. There was wonderful depth and reediness to saxophone. The swirl of Billy Joel’s Fender Rhodes on "Just the Way You Are" was convincing. The source was a Blue Circle DAC. 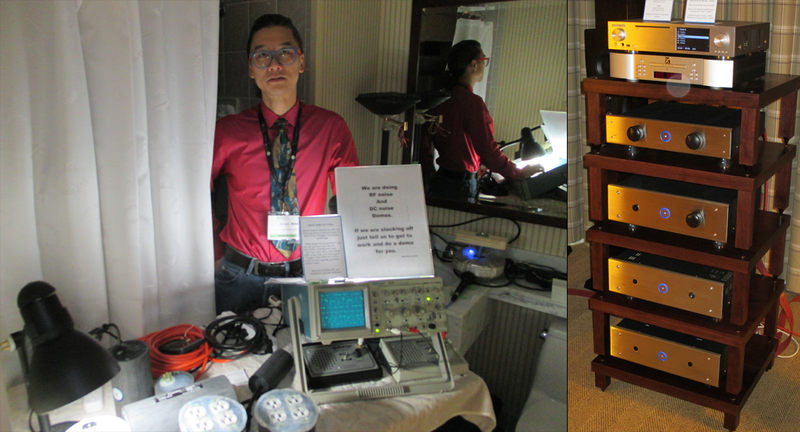 "Welcome to my corner office" came Gilbert Yeung’s dry greeting delivered in a bathtub where he was displaying his latest trick, a Blue Circle Audio PLC Puck line conditioner at just $100. And he had the test equipment to prove it works as advertised. "Try it," he said, "and if you like it, you can buy a larger one. There’s little risk." Indeed. Gilbert Yeung is enigmatic but anything but dogmatic. He likes tubes, he likes solid state and he makes a wide variety of products at several different price points. He shows time after time his willingness to bend the lines and think outside the box. Indeed he prefers cylinders, namely ABS drainage pipes stuffed with electronic goodies and sealed with silicon caulking. Bling’s not his thing and he suffers no fools. Within seconds of meeting him for the first time, last March in Montreal, he said: "how much capacitance does that amplifier have?" I looked at his display table where a prototype amp was located, its top plate removed. Seeing what I thought to be 12 small to midsize capacitors (there were 14), I guessed 120’000 micro farads. "Close but no cigar," came the reply. "140’000." "Did I pass your test?" "Perhaps," said Yeung with sly look. "It’s not over." Yeung’s latest major innovation is an amplifier called the NSL that employs 288 op amps at the output stage and contains 2 farads of power supply filtering! The amp requires several thousand solder points. Gilbert does it himself. It takes him two to three weeks working nine to five. What a way to make a living! But it’s worth it to Yeung as reviews are rave to say the least. Gilbert’s DAC was used by Bowhead and stacks of his DACs, power conditioners, preamps and power amps were used by two or three other rooms which surely constitutes a vote of confidence from his peers, if such a maverick can be said to have peers. It all sounded smooth and powerful. I tried on three occasions to coax a smile out of Gilbert. No go. Woo Audio is owned by the family Wu and it sure keeps busy on the audio show circuit. The friendly family returned to TAVES with the family jewels to great success. Jack was back with brother Zhidong. If there is a weak link in the Woo clan of products, I have not heard it. 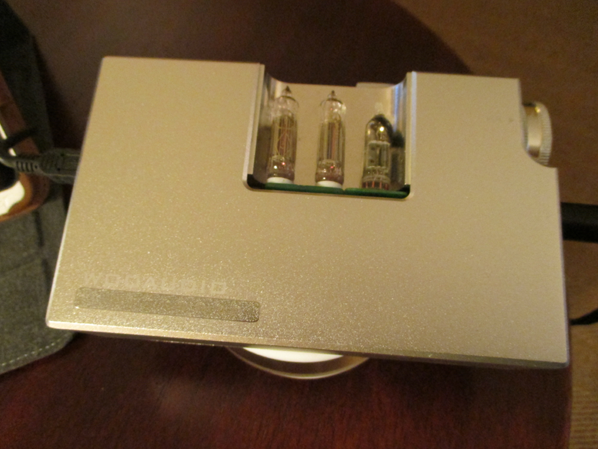 Their latest gem promises to be this small prototype battery or wall-powered WA8 DAC/head amp. Its power is out of all proportion to its size. It had the classic Woo signature - big, bold, open and dead quiet between notes. The tubes are not the Chinese military mini tubes but the Russian ones. 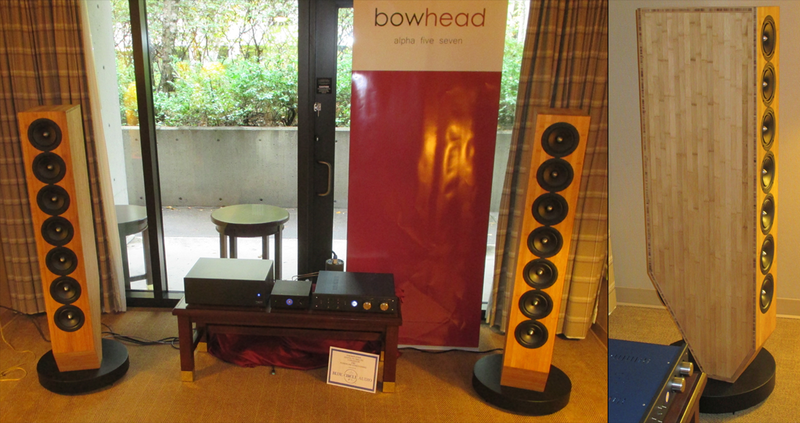 Audio Note UK’s equipment was brilliant at TAVES. To be sure, the sound was as usual sharp, snappy and lightning fast. Not everyone’s cup of tea and certainly not mine. The ANKits sound seems much less likely to induce listening fatigue. But I can see the appeal for those who like this sort of sound. Dynamics were utterly stunning. The noise floor was inaudible. There was Naim-like PRaT. And tube holography. I have never understood the fetish for corner placement but woe to him who dares question it. You won’t be welcomed into the church. I wondered if that placement led to the minor bloat I heard and felt? Guitar plucks however were wonderfully realistic, full of body and tonal saturation. Voices carried around the room and were arresting in their beauty. Most people who entered the room loved the sound. 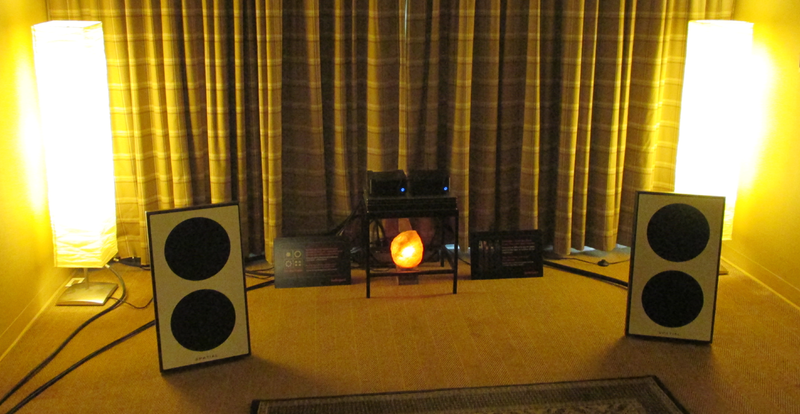 After Audio Note came my revelation at the Audio Alliance/Planet of Sound room as I stood in front of the magnificent Harbeth Super HL5 Plus, featured in my first part. No doubt about this being one of my favourite rooms. Harbeth makes my heart sing but for some it don’t mean a thing if it ain’t got that bling. The Super HL5 Plus would surely have garnered more interest in certain audio circles had it been built with some secret proprietary ‘composite YYZ’ and painted in ‘automobile quality’ red barchetta with 1867 coats applied by well-paid artisans, justifying its price of $116’300 instead of $6’300. Wood was all that Guarneri had at his disposal but in the age of composites and nano technology, it seems it will no longer do.